The title may have thrown you off into thinking this blog would be about something completely different… but alas, I’m referring to organizational size, and how it shapes an organizations structure. 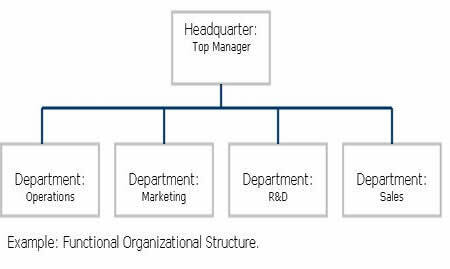 Organizational structure is a very important in the operations of a business. Discovering what works best for your organization is vital to its success. So how do you figure out which structure is best? 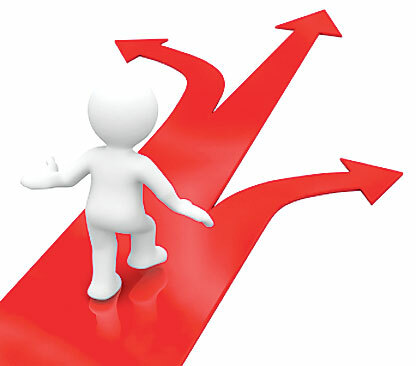 By examining the characteristics that are best benefited by the structure of choice. There are three structures available to analyze, functional, divisional and matrix. Matrix is really a combination of functional and divisional so I will not be focusing greatly on examining this structure. Function structures are centralized, but inflexible and are essentially a structure based on departmentalization. Companies that would benefit from such a structure would be ones with less need for coordination. By this, I mean that the structure is flatter and there are less chains of command to delegate. As well, if your organization is unable to steadily adapt to competition or other environmental factors, a functional structure fits the profile. 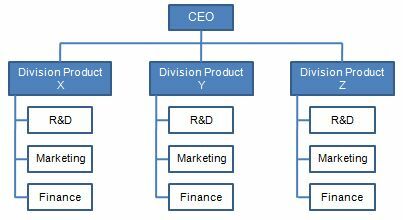 Usually small or medium companies choose this structure to operate with, but some larger companies have been known to use functional structures as well. Divisional structures are also flexible, but are decentralized. Employees are divided by the product lines, or geographical location. Divisional structures lend better to companies that are very large in size and have multiple product lines. I have worked for Canada Post in the past, which operates with a divisional organizational structure. Given that Canada Post is a very large company, serving over 14 millions addresses, this structure benefits them. Notice that I’ve determined Canada Post as having a divisional structure based on the company’s size. 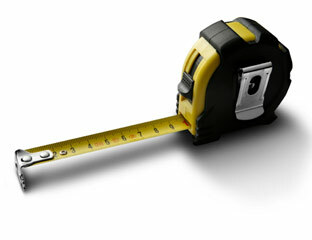 This is because I feel that size should be emphasized in determining the best structure for a company. So why is size so important? An increase in size creates a decreased concentration of power. The larger a company gets the more beneficial it becomes to create divisions that run alongside each other. By doing so, you don’t have just one high level position, such as director. Instead you need up with many, balancing their powers between each other. I once worked at a pizza shop, in Ontario and it was apparent less coordination was needed, as its staff and managers would be able to easily interchange ideas. Essentially, all employees would be generally delegated to the same tasks, and would report to the one owner. There are no branches, and therefore not a great deal of specialization is needed. Thus, divisions are unnecessary for smaller companies. Is size the only real factor? It’s important, but no. It’s not the only factor. The environment also plays a key role. The environment in which you operate can shape your structure. Functional or flatter structures are better off in environments that are stable. Stable environments require less of a need for rapid changes, alterations or adaptations because of external factors. The opposite goes for divisional structures, as they can quickly adjust to external factors, such as new competition. So, should you operate under a Functional or Divisional structure? How about a mix of both? Examine your organization to know what’s appropriate! Ever wonder why you feel some things are wrong, and some are right? It all boils down to how we developed morally through our childhood and adolescence stages. It’s a common notion to just blatantly think “stealing is bad”, but there was a process that occurred to develop these feelings. A process that seems to be overlooked because it’s somewhat natural in its stages. According to Kohlberg, there are six stages we go through in developing our morals, and each play a vital role in how ethical we’ve become today. These stages are paired into levels, pre-conventional, conventional and post-conventional morality, respectively. Below are these levels and stages listed in the order in which they are learnt. The pre-conventional level is one in which we learn as children, understand the basics of what right and wrong. Stage one maintains that our learning comes from obeying our parents and receiving punishment as conditioning for doing wrong. This is where we learn that “stealing is bad” only because our parents say it’s bad, and that we can be punished for disobeying our parents. Then we begin to grasp the notions of stage 2, where we learn that there are many people with many different views, and each person is entitled to an opinion. For example, we learn that our parents view stealing as bad, but not everyone has the same opinion as our parents. The whole pre-conventional morality level is where we think as individuals but not as members of a society. Conventional morality begins to teach us how to be members of society, and usually commences during the adolescences years. We learn how to interact with people and how to maintain and foster relationships through not only looking out for our best interests, and not only fearing the consequences of doing wrong but also because of pure goodwill. This concept relates to Immanuel Kant’s categorical imperative, in which something is determined to be morally ethical if the action and motive are truly right. In this sense, you must be doing the right things, for the right reason. After completing stages 3 and 4 of the conventional morality level, we are fully members of society. A greater moral development emerges from the post-conventional morality level, in which we learn how to keep society function, but also how to improve the ways in which it does function. At the level, ideologies of what is morally right become apparent. Some take the view of a utilitarian, a cultural relativist, an ethical egoist or a virtue theorist. All these views have different ways in which they decide what is morally right, whether it be based on the outcome of an action, the motive of the action, the act itself or the character that performs the action. So why do these stages matter? Essentially, they allow us to see where we developed our ideas and beliefs on what is considered right or wrong. In turn, we develop an almost existentialist view of our learning process, and become better informed on how people think and resultantly behave. This deeper understanding about our moral ideologies can also correlate with locus of control theories. Different people have different loci of control, these being either external or internal locus with a strong or weak affect. Our locus of control determines what we feel our success and failures are attributed by, and how much control we have over these outcomes. You can test your locus of control here. People with an internal locus of control feel that they control their fate through their effort and decisions, and oppositely, people with an external locus of control feel that they have little control over what happens to them, that circumstances and external factors take over in determining their lives. I found that I have a “somewhat” more internal than external locus of control. This made me realize that I mainly feel that I have the power to change the outcome of my life, and that everything is not predetermined. However, there are a few things, such as the occasional streak of bad luck, which can harm my efforts. Larmer, R. A. (2002). Selected Readings in Business Ethics. Wadsworth.